DESCRIPTION: Allows for some adjustment in situations with out-of-plumb wall. DESCRIPTION: Minimal wall mounted profile for an almost frameless look. Measure and Installation is required. DESCRIPTION: Comprising a first fix section to be fitted prior to tiling and a neat cover profile. 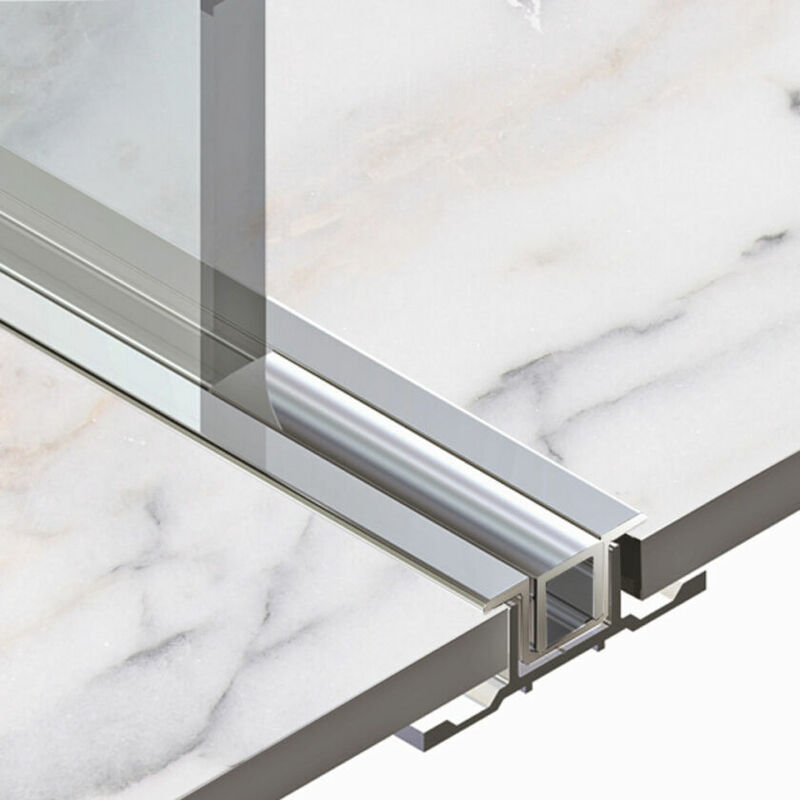 Recessed channels achieve a luxurious appearance whilst assuring the practicality and the water retention of a standard frame. Measure and Installation is required. 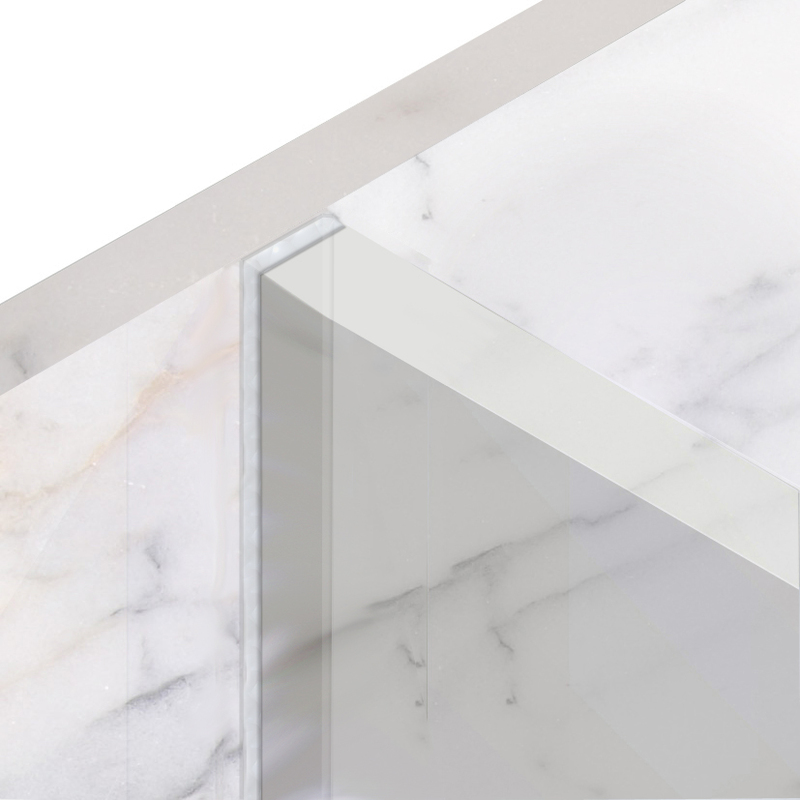 DIMENSION: Visible section, on inside and outside of shower area respectively, is 1.5mm deep and 7.5mm wide. 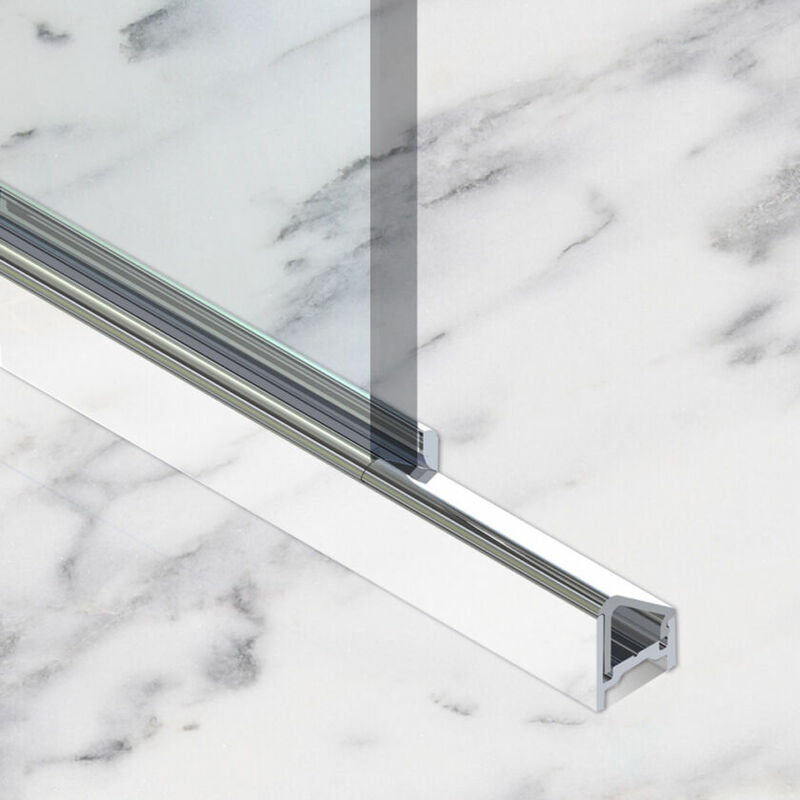 DESCRIPTION: Completely frameless, this option uses an expertly applied bead of high grade silicone between the glass and the wall. Measure and Installation is required. 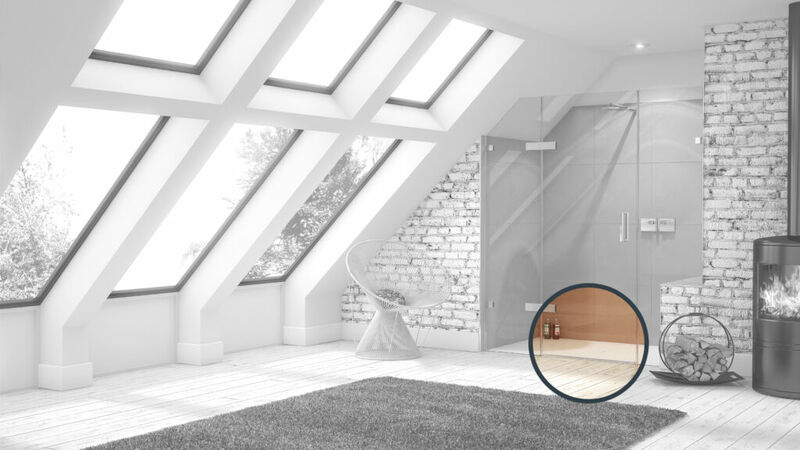 DESCRIPTION: The standard threshold used across the Matki EauZone Plus range is beautifully engineered to create a stylish barrier with excellent water retention. 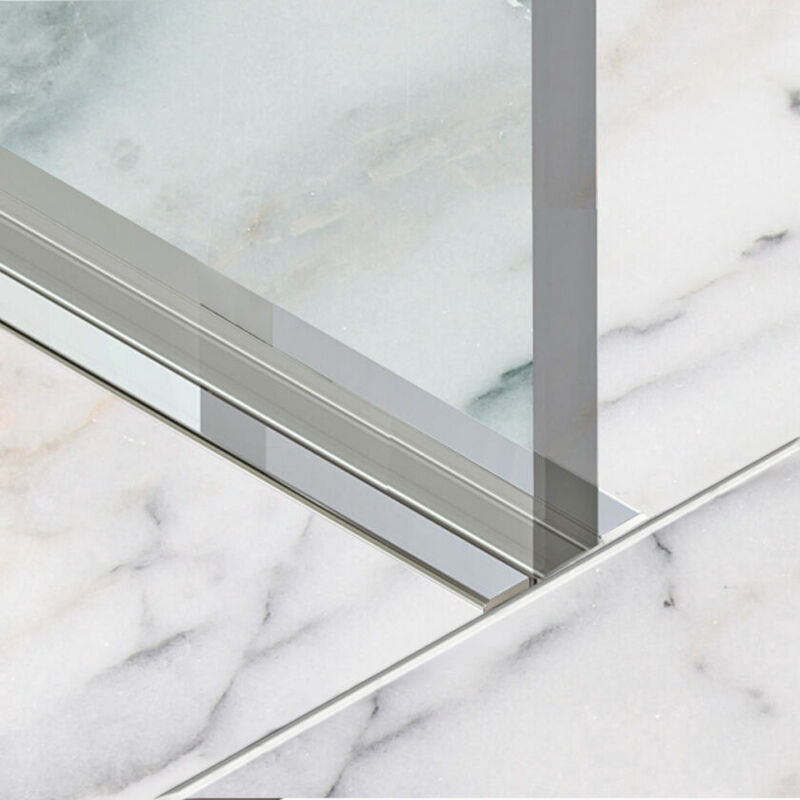 DESCRIPTION: Permitting a clean, minimal appearance to the Shower Enclosure entry as the frames finish where the glass stops. Complete water retention is not guaranteed with this option. 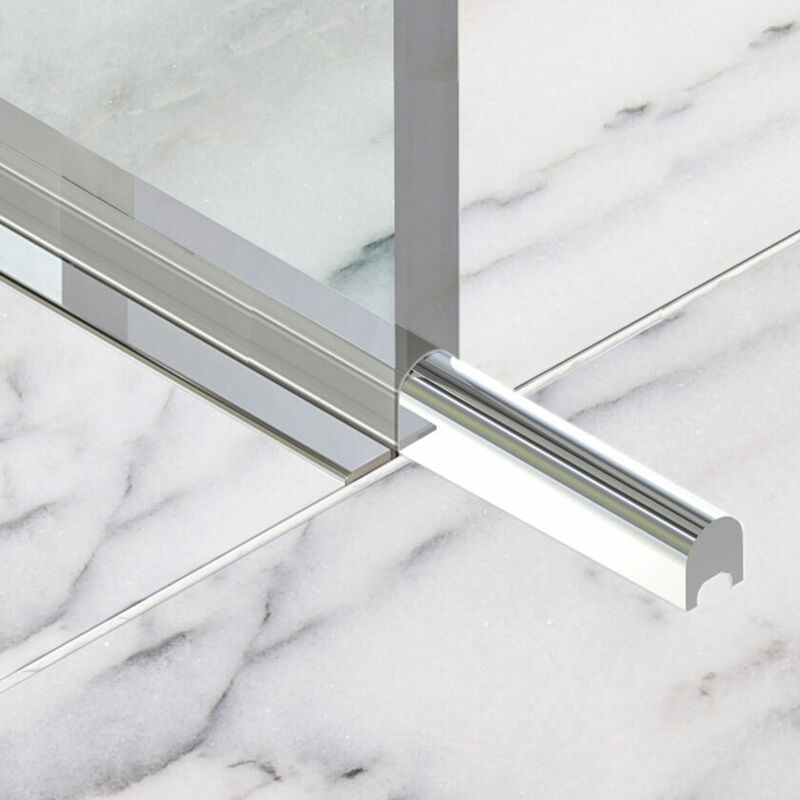 DESCRIPTION: A recessed channel with a neat flush silver infill improves water retention while giving a flush entry to the Shower Enclosure. 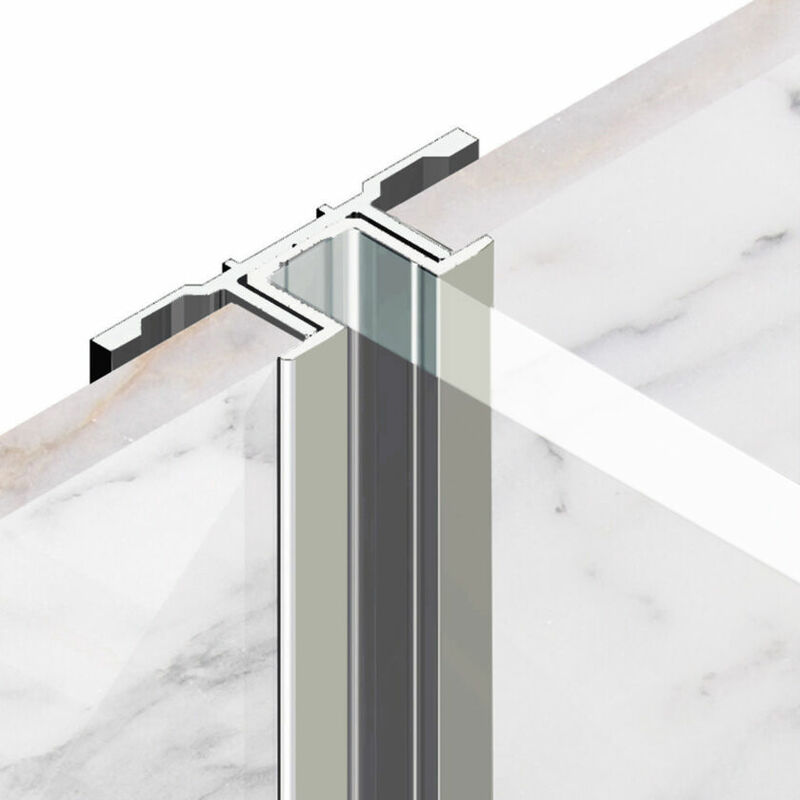 The infill interacts with a special door seal to give spray protection but does not assure complete water retention when water pools within the showering area. 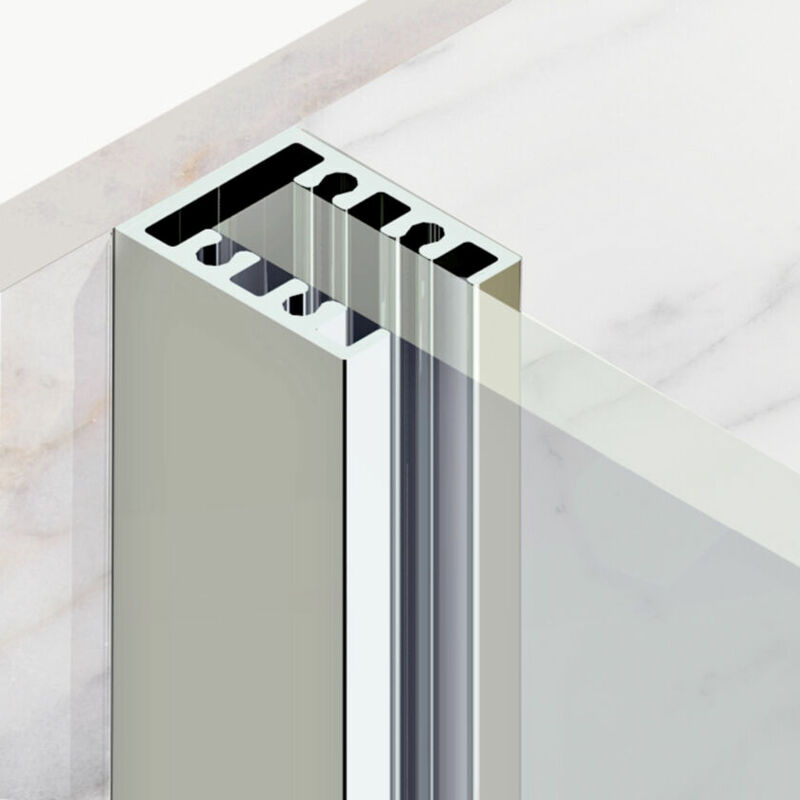 DESCRIPTION: Bespoke length profile which can be retrofitted to a tiled threshold to improve water retention if required. We have adapted the EauZone Plus non-slip hinge to work with each of our Framing systems and for the exact opening required for your layout, whether that be outward or inward opening, panel-mounted or wall-mounted. 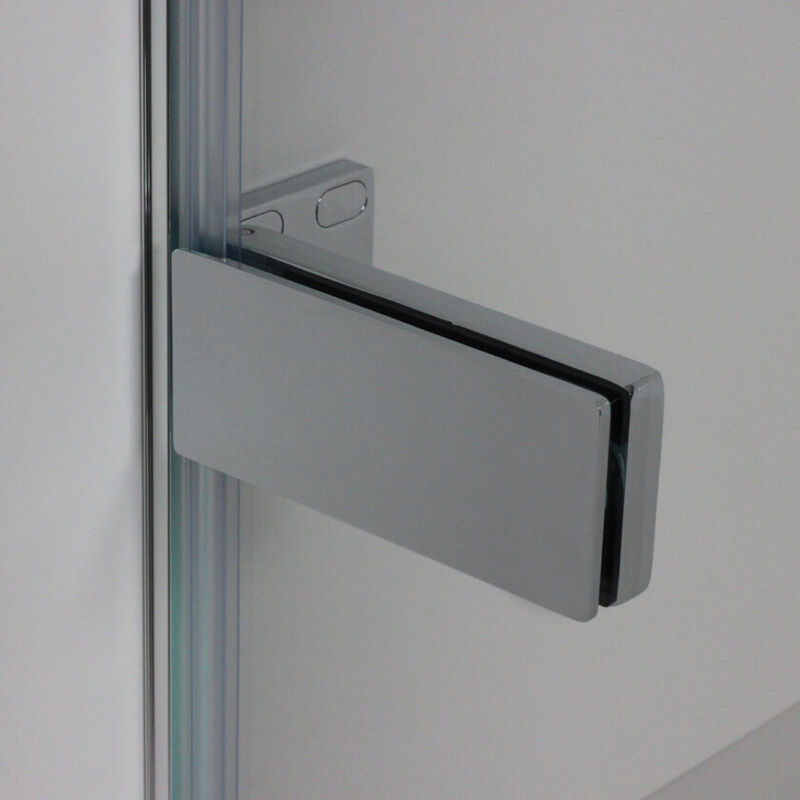 DESCRIPTION: Outward opening hinge for use with standard 28mm frame on standard or bespoke door glass. 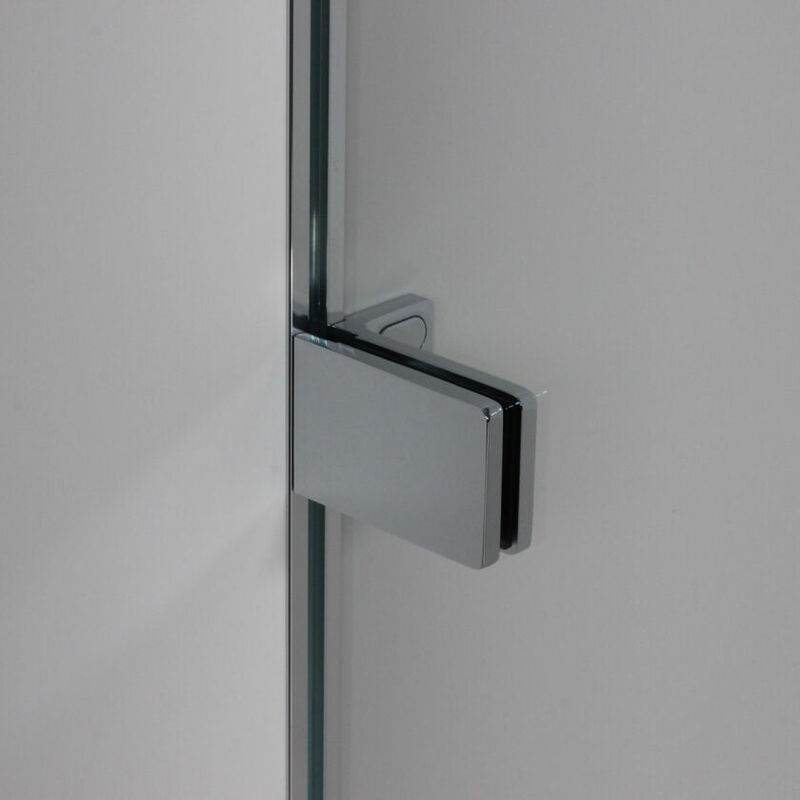 DESCRIPTION: Inward opening hinge to fit standard or bespoke glass. 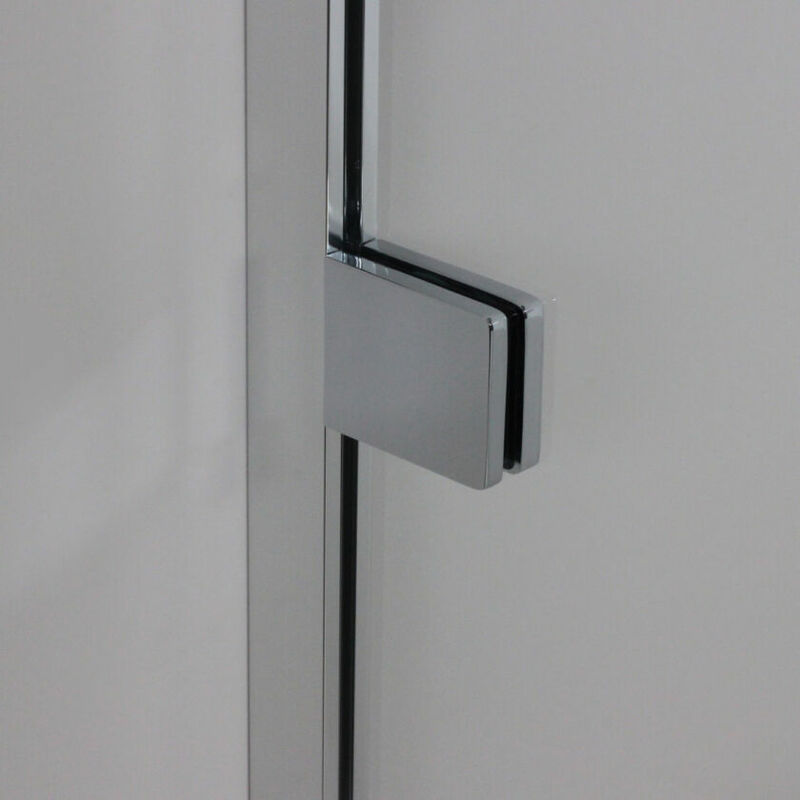 MATERIALS: Solid Brass patented non-slip hinge available in a choice of finishes. 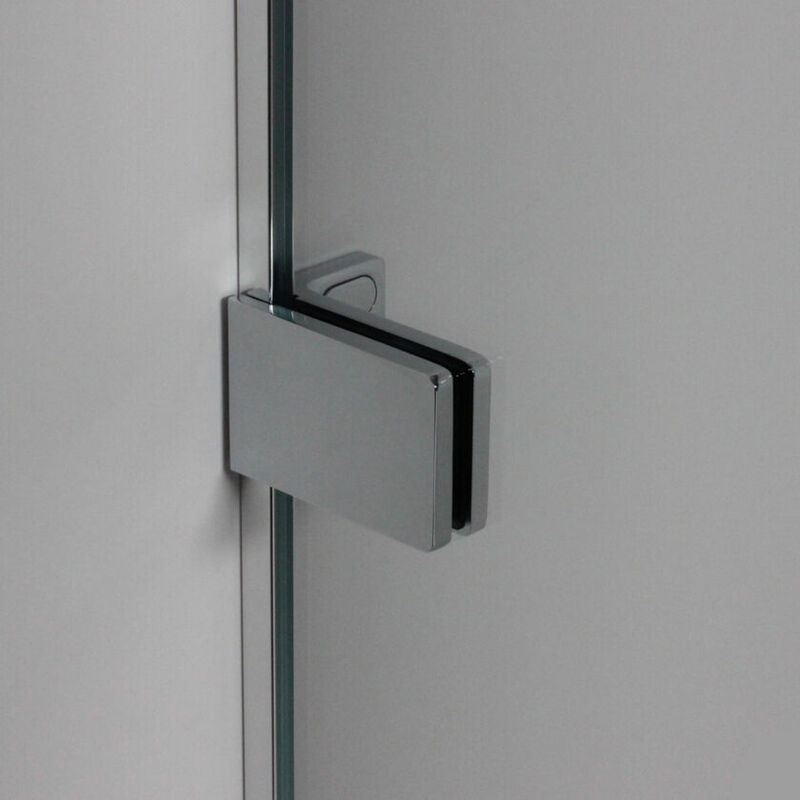 MATERIALS: Solid Brass patented non-slip hinge, available in a choice of finishes. 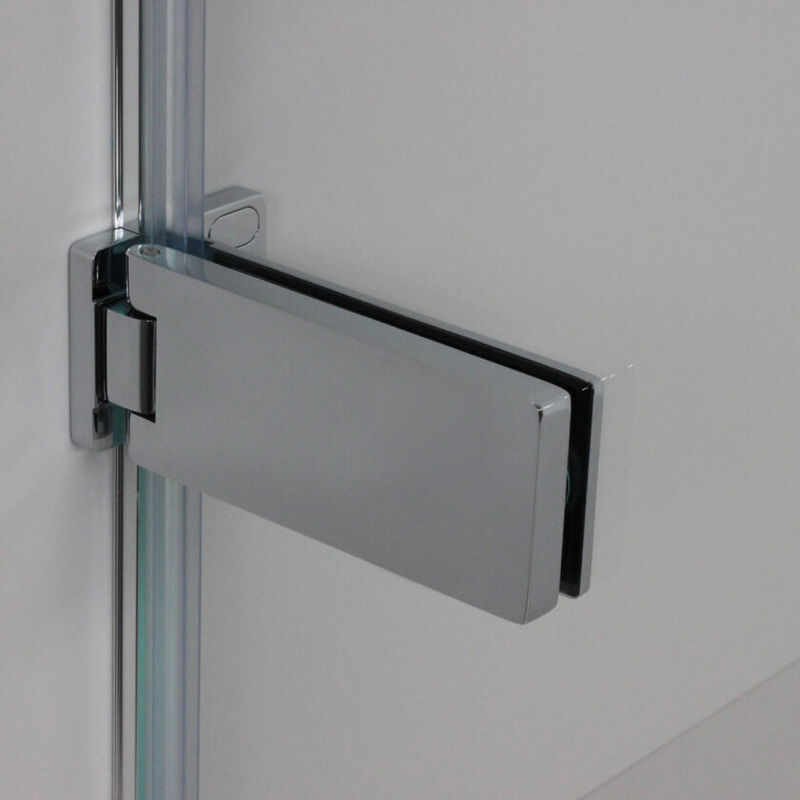 DESCRIPTION: Outward opening hinge for use with Ultra Bespoke minimal and recessed frames. 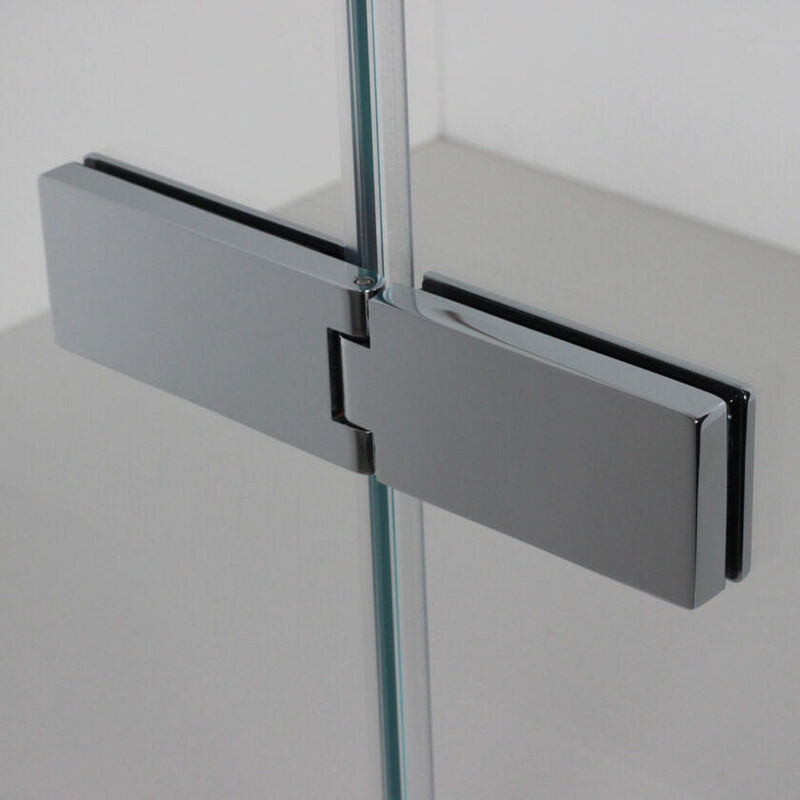 This hinge requires bespoke door glass and Measure and Installation. 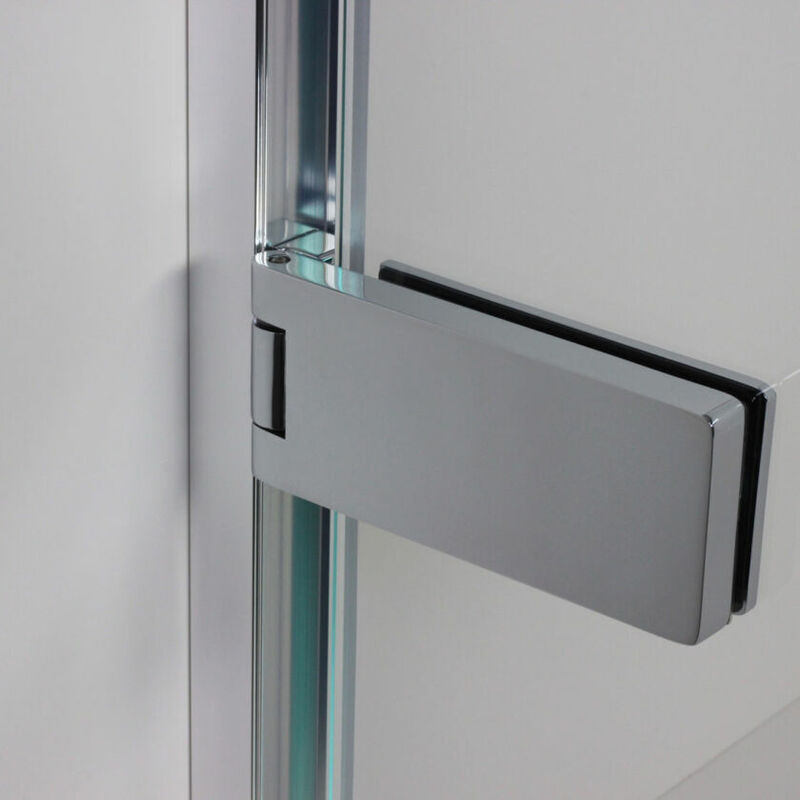 DESCRIPTION: Inward opening hinge for use with Ultra Bespoke minimal and recessed frames. 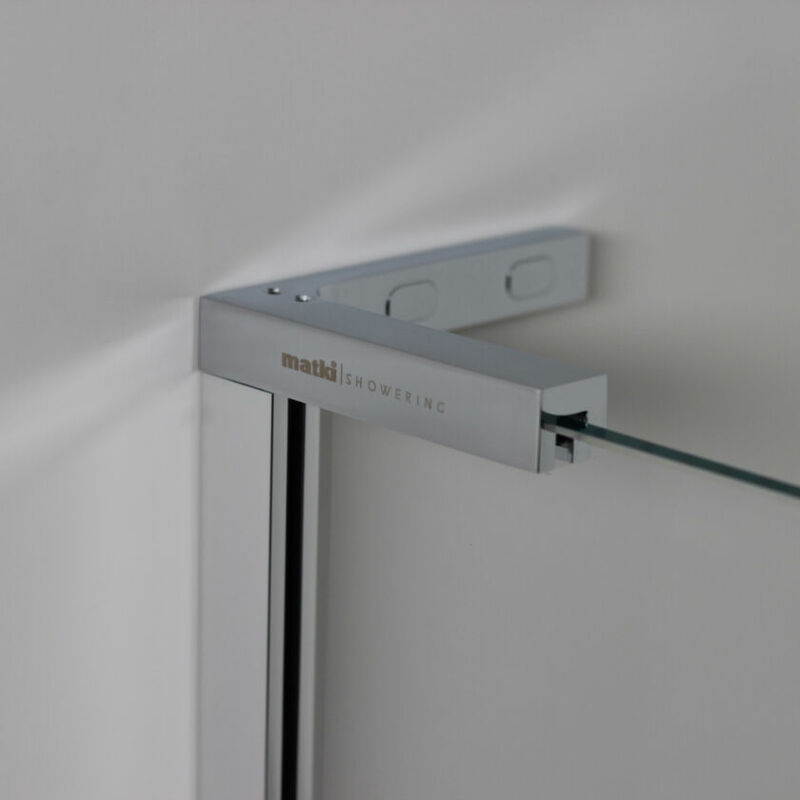 This hinge requires bespoke door glass and Measure and Installation. A variety of EauZone Plus wall brackets are available to support different bespoke glass sizes, shapes and setups. 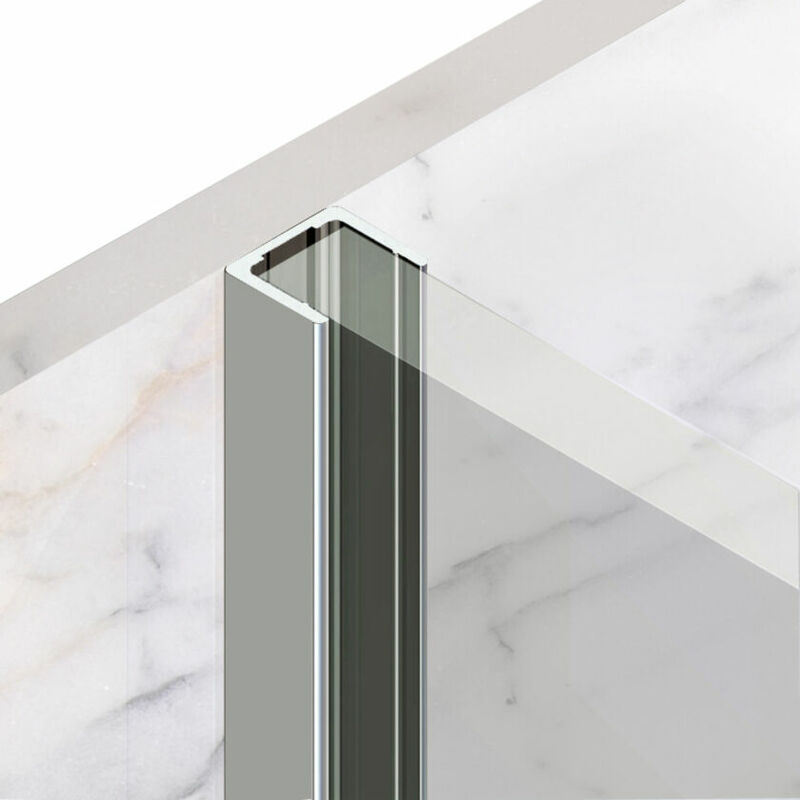 DESCRIPTION: L-Shaped Bracket for securing the glass to the wall. Fitted on top of fixed panels for all frame types. DESCRIPTION: This bracket is specifically for use with the 28mm standard frame where the standard L-Shaped Bracket cannot be used due to length or width restrictions or angled ceilings. Its footprint on the wall is no wider than the standard frame. DIMENSION: 28mm wide frame. Bracket width 54mm, height 44mm. 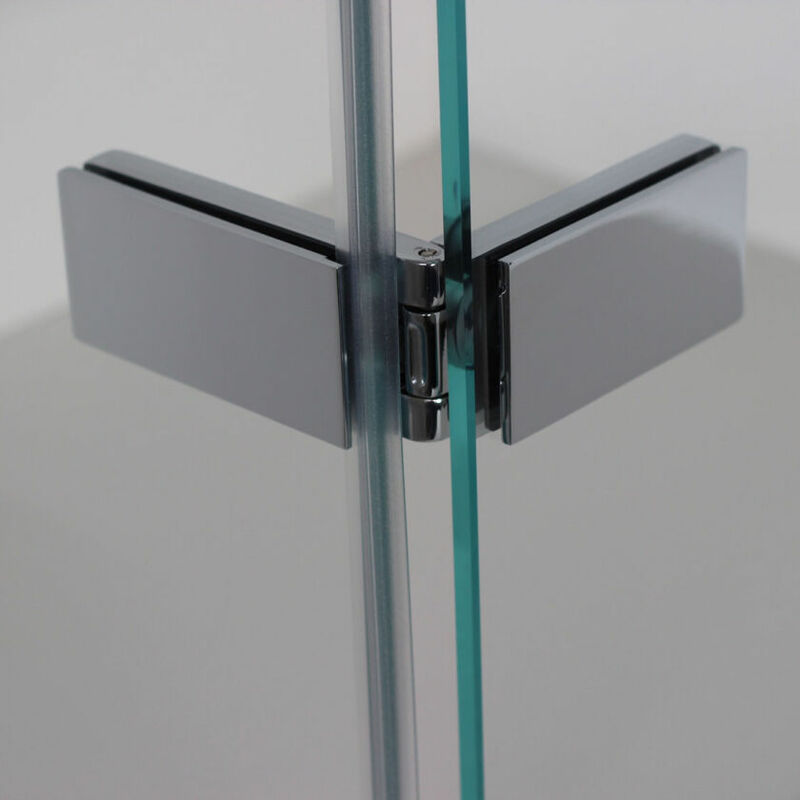 The wall bracket for 28mm frames requires bespoke glass. DESCRIPTION: This bracket is specifically for use with the 11mm minimal frame where the standard L-Shaped Bracket cannot be used due to length or width restrictions or angled ceilings. MATERIALS: Solid Brass Bracket. Available in a choice of finishes. DESCRIPTION: This bracket is specifically for use with the recessed frame, where the standard L-Shaped Bracket cannot be used due to length or width restrictions or angled ceilings.